First things first: No, that’s not supposed to be her real hair, so don’t hate. 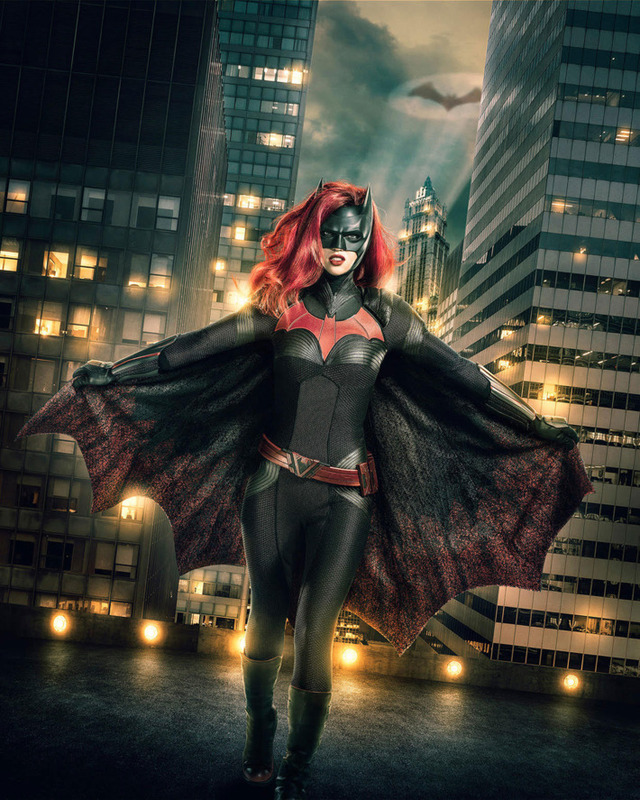 We’ve known for a while that Ruby Rose will be playing Batwoman — civilian name Kate Kane — in her own series on the CW, and that she’ll be making her debut during a CW superhero crossover called “Elseworlds” this December. But until now, we didn’t know how she’d look when she swings into action. The CW has released a first-look photo of Rose as Batwoman in a costume based on the comic-book Batwoman design originally conjured up by legendary artist Alex Ross. Back to the wig thing: In the comics, Kate has red hair but keeps it shaved close to her head in her civilian guise; the red wig is an adornment. (That said, in the comics, it’s supposed to be so convincing that even Batman doesn’t know it’s not her real hair, but maybe they’re going for something different on TV.) So, technically, with all due respect to my former colleague Kyle Buchanan, this is not a case of Hollywood not knowing how redheads look. At least so far. Once we see Kate out of her armor, I might rescind my ginger seal of approval.